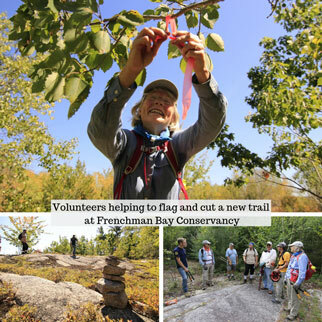 The Maine Conservation Corps welcomes volunteers to join our members and teams on projects throughout the state! 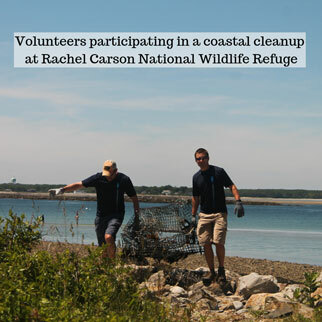 Individuals and groups are invited to help out with projects like trail construction & maintenance, watershed surveys, invasive species removal, and many other conservation efforts. Stay for an hour, a day, or more! There is no minimum time commitment, and we have flexible hours available, including weekdays and weekends. Documents are provided in PDF and Microsoft Word formats. To view PDF documents, you will need the free Adobe Reader. View list of current opportunities below. Contact the listed project contact person for further details and to RSVP. Complete the MCC Volunteer Card (PDF 70KB). Are you under 18 years old? - You will need a parent or guardian to sign your card. Are you under 16 years old? - You will need an adult to accompany you on the project. However, they do not need to participate in the work. Do you have health insurance? – Volunteers must be covered by health insurance. Volunteers without their own health insurance can be covered during their volunteer service by the MCC's SERVE/Maine Accident Insurance Policy. To be covered by the policy, volunteers must be at least 14 years old. Bring the signed Volunteer Card to the project. Join our Volunteer List or update your current information. Volunteer in the MCC Office - Your Help is Always Welcome! What is the Field Team Program?